The all-new ARCHIE adventure continues! Superstar writer Mark Waid teams up with the best and brightest artists in comics to bring a modern take to the legendary Riverdale cast of characters. 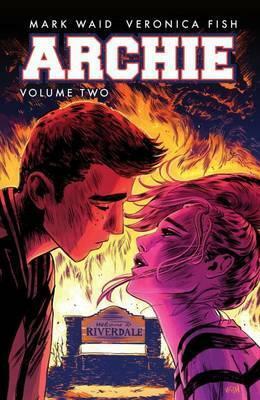 The book will captures the bite and hilarious edge of Archie's original tales in a modern, forward-looking manner, while still retaining the character's all-ages appeal. If classic Archie is a Saturday morning cartoon, this new series is prime time! MARK WAID is an Eisner Award-winning American comic book writer. He is well known for his eight-year run as writer of the DC Comics' title THE FLASH, as well as his scripting of the limited series KINGDOM COME and SUPERMAN: BIRTHRIGHT, and his work on Marvel Comics' CAPTAIN AMERICA. Waid also served as Editor-in-Chief, and later, Chief Creative Officer of BOOM! Studios, where he wrote titles such as IRREDEEMABLE, INCORRUPTIBLE and THE TRAVELER. He has received recent acclaim for his work on the DAREDEVIL and INDESTRUCTIBLE HULK series for Marvel in 2012-2013.